Initially all the members are assumed to be fixed. Calculation of fixed end moments is to be done. Fixidity at the joint is released and the balancing moment at the joints is distributed to various members depending upon their thickness. 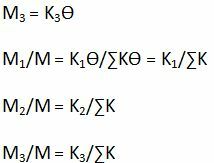 A part of this moment is carried over to the other end of the member and the carry over moment is computed. This process of distribution and carry over is continued till the unbalanced moment at the joints become zero or negligible. Now, we shall discuss “Distribution Factor” which is very important while carrying out calculations using Moment Distribution Method. are the distribution factors for OA, OB and OC respectively. M1, M2 and M3 are the distribution moments. With this, we come to the end of our step by step procedure for “Moment Distribution method”. We would also be studying MDM with the help of examples in our succeeding articles. 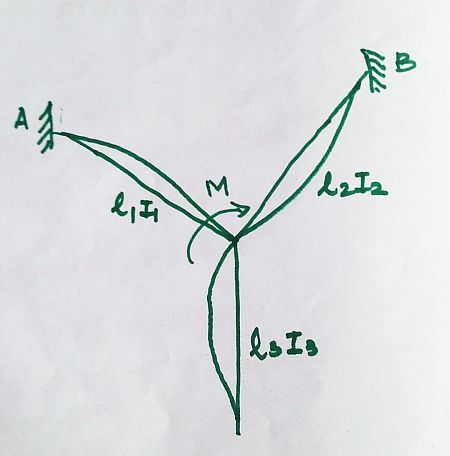 I want a calculation for the continuity bending moments of a beam….one end is fixed marked “A”……The beam extends (UDL = 6 kN/m) and supported by a roller at 8 m from “A”…marked “B”…..then overhang 2 meters from “B” (Not UDL) but a point load applied at end of overhang of magnitude 10 kN….Can you calculate the positive bending moment at midspan of beam AB….and sketch the final bending moment diagram….also compute the beam reaction at roller support “B”….